January 30, 2019, LOS ANGELES, CA. 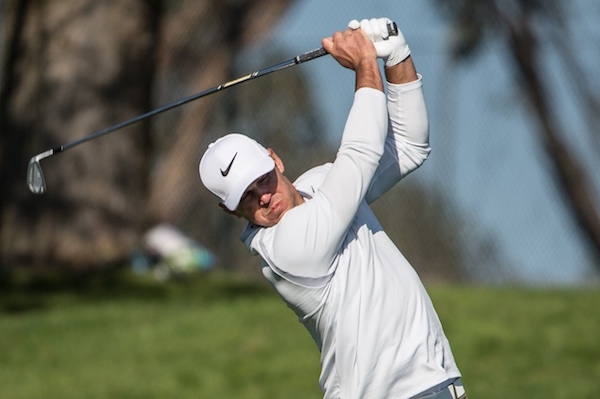 John Hoffman, President of Friends of Golf (FOG) announced today that PGA Tour “Player of the Year”, Brooks Koepka will be the honoree of the 40th Annual FOG Charity Golf Tournament to be held Monday, April 29, 2019 at the Bel-Air Country Club. The annual golf tournament is part of FOG’s mission of providing and supporting scholastic golfers with resources, equipment and programs so they can compete in a sport that promotes character, integrity and fellowship. Each year FOG provides funds, equipment and mentor support to scores of high schools, colleges, and universities impacting thousands of scholastic golfers each year throughout the United States, in recent year the FOG tournament has received the support and has honored such world class golfers as; Lorena Ochoa & Patrick Cantlay, Sir Nick Faldo, Jim Furyk, Phil Mickelson, Dustin Johnson and many others. Brooks Koepka who plays on the PGA Tour was for much of 2018 the World No. 1 ranking player in the Official World Golf Ranking and is currently No. 4. Brooks began his career at Florida State University where he won three events and was a three time All American. In the summer of 2012, Brooks began playing on the Challenge Tour in Europe. From there, Brooks distinguished himself by claiming his first major championship at the U.S. Open in 2017 at Erin Hills, Wisconsin. He successfully defended his title in 2018 at Shinnecock Hills on Long Island. He is the first golfer to win consecutive U.S. Opens since Curtis Strange in 1988 and 1989. He won his third major at the 2018 PGA Championship at Bellerive Country Club, shooting a major-championship-record-tying 264 over 72 holes. Friends of Golf (FOG) is the leading national non-profit organization providing a range of financial sup[port, golf equipment, tr5aining resources and mentoring to boys and girls, young men and women in high schools, junior colleges, 4-year colleges and universities throughout the United States.